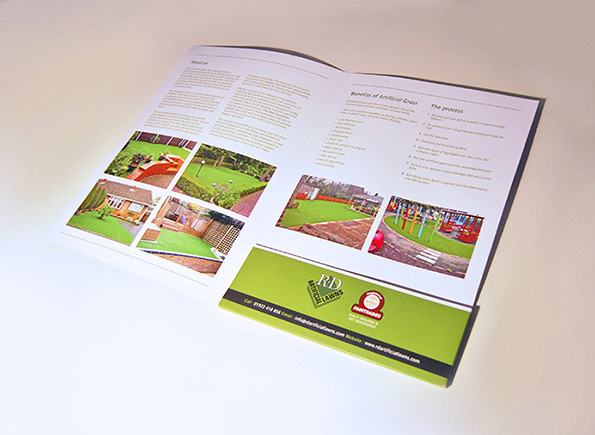 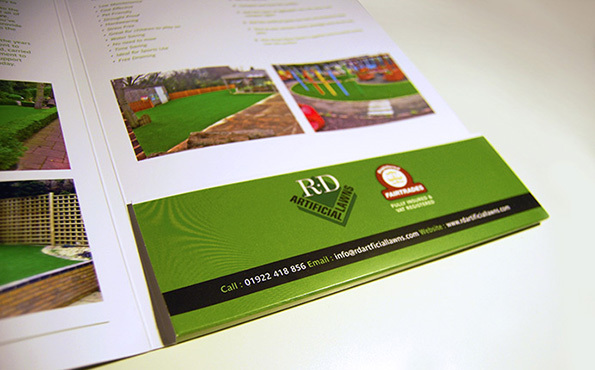 RD Artificial Lawns is a Midlands based company specialising in artificial grass and ground works. 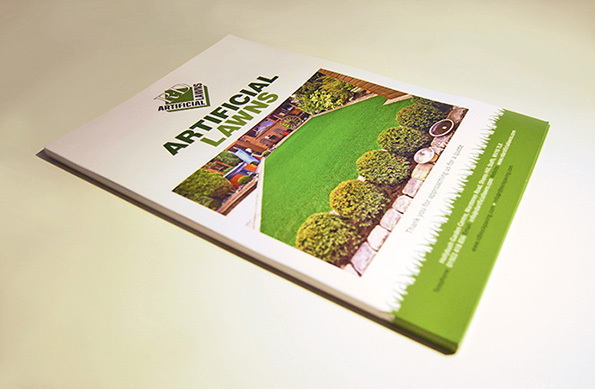 The company, already having an existing logo, required a visual identity that could be applied to printed quotation folders and a new website. 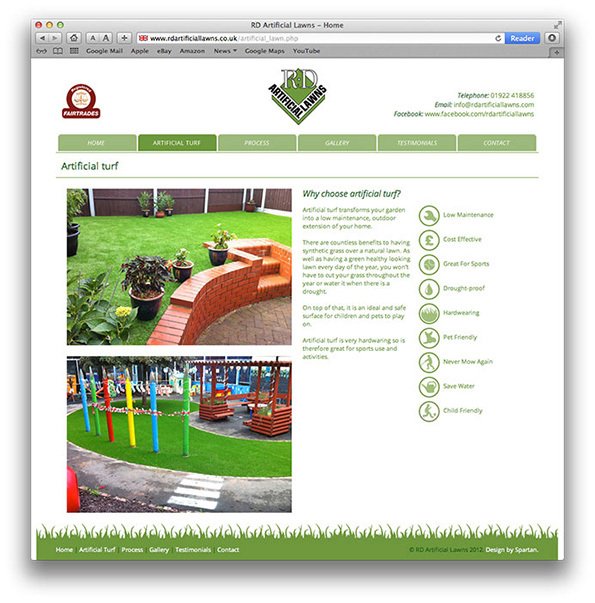 The company felt the website should be designed to make the photography of their works stand out along with informing people about the services. 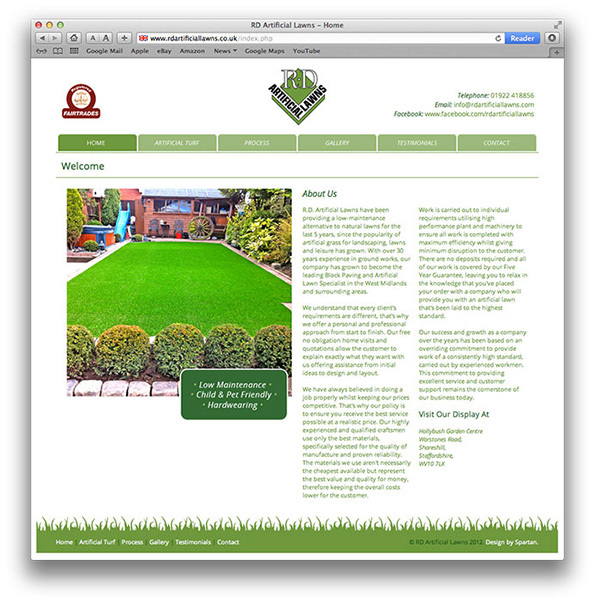 The colour scheme used represents the green an artificial lawn would give you all year round. 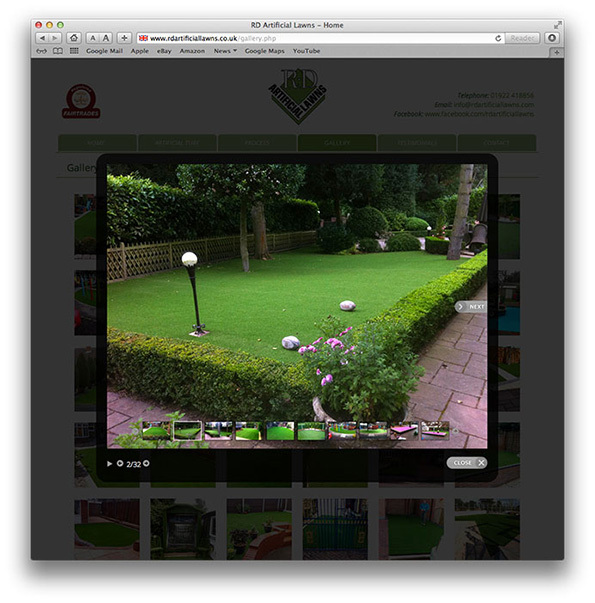 A lightbox gallery was used to show larger images of their work.